Interested in staying at the Crowne Plaza? Call the Reservations Department directly at 800-265-0339 or Click here. Enter your desired dates into the site, which can be found on the left hand side of the screen. You will see an area to include the number of guests, rate preference and group code (EMD), each of which should be left as the default for this group, and all are under: “MORE OPTIONS.” When ready, click "BOOK." After the page is loaded, the group name EMDR Advanced Traini and the appropriate rates are reflected with each corresponding room type (from $149 plus tax). The cutoff date for booking is Monday, November 19, 2018. Full refunds until October 21; then 80% until 1 week before training, no refunds after December 1. CAN'T ATTEND IN PERSON? If you choose the livestream/delayed viewing option (all one option), you will receive instructional details at least one week before the conference. They will include instructions re: accessing the program and access to tech support. The pre-recorded program will be available three hours after the live version. You will have the ability to view all or parts of the training live as well as prerecorded until March 9, 2019 (with a modestly priced extension available after that). After many early cautions about the potential dangers of using EMDR with individuals suffering from dissociative disorders, limited methods have been offered for adapting standard EMDR procedures to this specific population. Based on these early cautions, EMDR is still considered by many clinicians as limited to the treatment of traumatic memories in high functioning dissociative clients and only after a long preparation phase that depends on other treatment modalities. Confined by this conceptualization, the use of EMDR is too often limited and many survivors of severe traumatization are unable to benefit from EMDR reprocessing and, if at all, only much later in the treatment process. Dolores Mosquera has developed (with Isabel Gonzalez, M.D.) and will present the Progressive Approach model for treating complex trauma and dissociation. Using this AIP informed model, clinicians can safely utilize a wide range of EMDR interventions (including BLS) from early in the preparatory phase of treatment for patients with dissociative disorders. 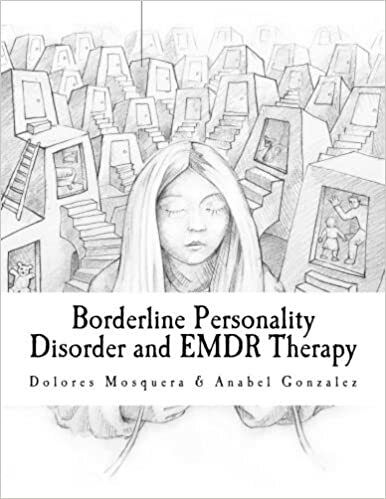 Mosquera’s deft clinical skills and ground breaking innovative thinking teaches a middle ground between “dissociation blind” aggressive EMDR interventions and overly cautious delays to the use of EMDR reprocessing. 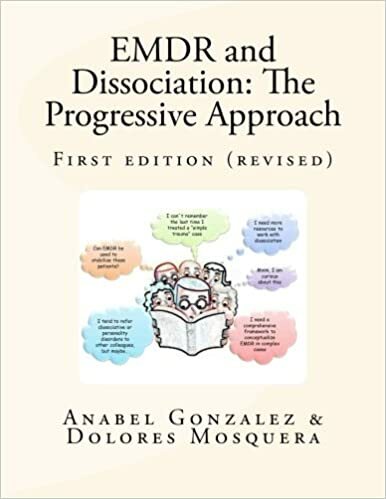 ON DAY 1 (Treating Dissociative Disorders with EMDR: The Progressive Approach), clinical case examples will be used to illustrate interventions with EMDR for dissociative clients following The Progressive Approach (Gonzalez & Mosquera, 2012). This workshop will demonstrate how EMDR clinicians can safely utilize a wide range of EMDR interventions from early in the preparatory phase of treatment for patients with dissociative disorders. DAY 2 (EMDR Therapy for Suicidal clients and Self-harming behaviors) will build on the concepts of Day 1. In this workshop we will explore the different stages of suicidal ideation and how to work with them. The assessment of vital risk is a priority in a patient with these behaviors. We will also address self-harm behaviors and emotional regulation from the perspective of EMDR. DAY 3 (Working with hostile voices and parts of the personality in complex trauma and dissociative disorders): Many dissociative clients have difficulties with voices that are hostile and critical. The internal conflict is sometimes so strong that the person will even have difficulties carrying on with an ordinary conversation. One factor that affects this conflict is how the patient deals with the voices or parts of the self. 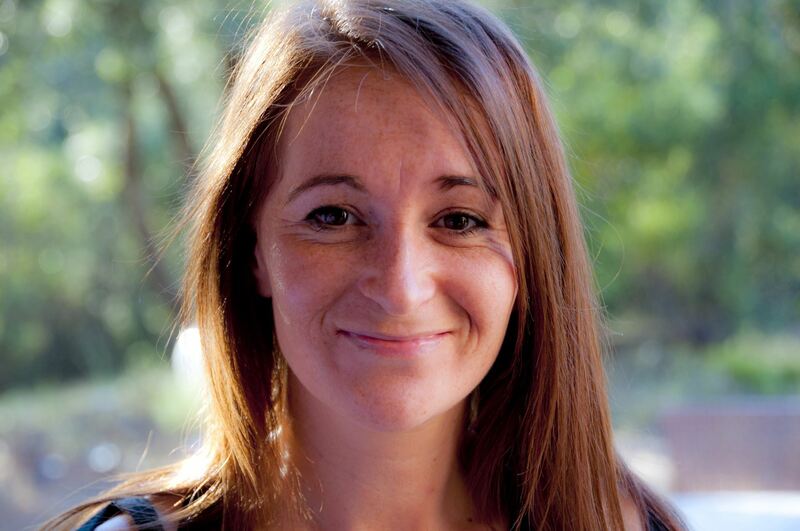 Dolores Mosquera is a gifted and popular EMDR advanced trainer who annually presents her innovative contributions to EMDR Therapy at EMDRIA conferences. A psychologist based in Spain (fluent English speaker), she is the director of the Institute for the Study of Trauma and Personality Disorders (INTRA-TP), a private institution where she has worked with EMDR for many years on cases related to severe traumatization. She offers advanced EMDR training globally and has published many books and articles on personality disorders, complex trauma and dissociation and is a recognized expert in this field. We are fortunate to have her in the U.S. for three days of training!